The Tapestry is an intricate masterpiece that exudes beauty and class both on the outside and inside. Its architecture adopts a unique, modern curtain wall design which is mostly reserved for high-end luxury homes. The Tapestry is also an eco-friendly home and that’s reinforced by the fact that it was awarded the BCA Green Mark Platinum Award. So, future residents are assured of enjoying utmost comfort, luxury and convenience when it comes to interacting with nature. The Tapestry comes with 10 exhilarating zones, all designed with the residents’ welfare in mind. The facilities, which are perfectly spread out through the condo development, will make it convenient for residents to relax, unwind, have plenty of fun and keep an eye on their fitness. The condo comes with such zones as the Kids Explorer, Hydro Veranda, Enchanted Garden, Aqua Zone, Pets Cabin and Social Patio. There is also a Fitness Court, Club Tapestry, Central Park and Arrival Court, all at the residents’ disposal. The Tapestry sits in a private residential enclave and is surrounded by two condos namely The Alps Residences and The Santorini. 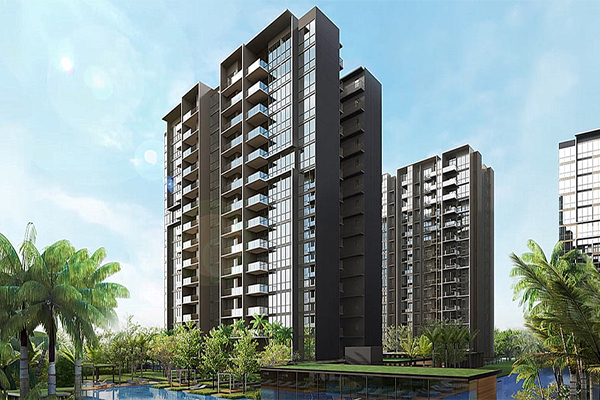 It is also located close to Pasir Ris estate and the established Tampines Regional Center, which opens more possibilities for residents in terms of access to various amenities. Several schools like St. Hilda’s Secondary School, Springfield Secondary, East View Primary, UWC, Tamasek Polytechnic and Meridian Junior College lie in the condo’s immediate neighborhood. In terms of shopping amenities, there’s the Tampines Mall and the Tampines 1 and Century Square lying barely more than a mile away. When it comes to leisure activities and nature-inspired outings, future residents will have many spots around to choose from. 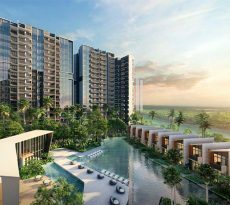 Some of the nearby recreational facilities they can visit include Bedok Reservoir Park, Sunplaza Park, Tampines Eco Green, Tampines Quarry Park and more. The Tapestry has several arterial roads and bus routes that make it easier to reach the nearby Tampines MRT stations and other close areas. The Tampines West MRT Station, operating along the Downtown Line, is just a few minutes’ drive away while the Tampines Bus Interchange sits not so far away from the residential. Further, residents who drive will enjoy quick access to major expressways like the TPE, PIE and ECP that swiftly lead to the CBD and other parts of the island. The 861 units within the Tapestry’s 7 residential blocks feature different configurations, ranging from 1 t o 5 bedrooms. The table below provides a quick run-down of the unit types and their sizes. 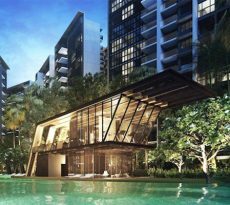 The condo’s 1-bedroom units will be priced from $596k onwards while 2 bedroom units’ prices will start from $796k going forward. 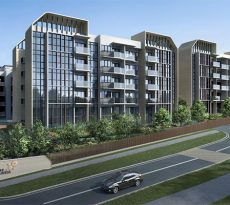 3 bedroom and 4 bedroom units will have their prices starting from $1.15 million and 1.65 million going onwards respectively. 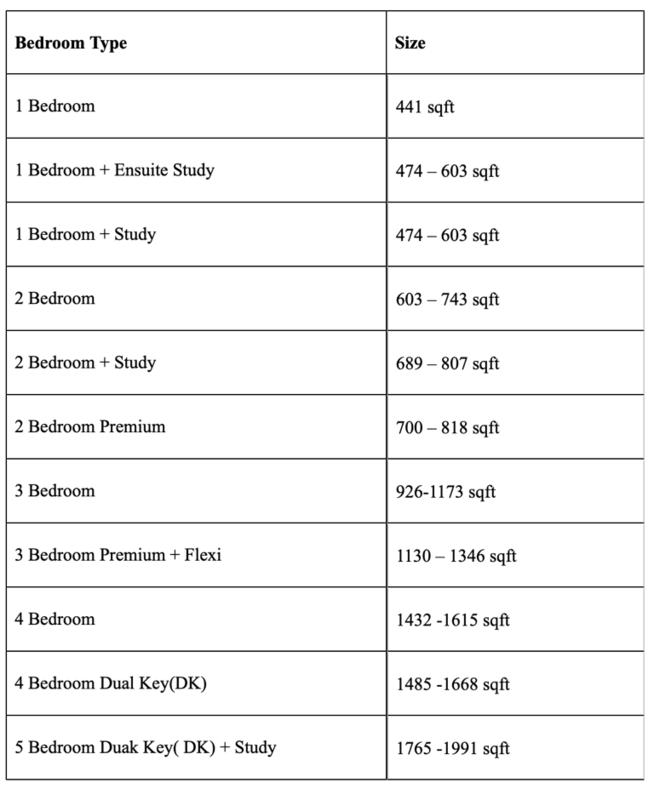 Lastly, 5 bedroom unit types will be going at a price of $2.1 million and above. For the several years we’ve been in operation, our firm has helped thousands of clients secure Singapore home loans in a fast, reliable and cost-effective manner. Ours is to provide a platform where you can compare mortgage loan Singapore from top lenders in town and get the best deal in terms of favorable interest rates and friendly terms. It doesn’t really matter when the units you’re eyeing are completed or still under construction or whether you are seeking a new loan or refinance. Our platform has got all your interests covered and you’ll always find a package that befits your home purchase needs. The gist of it is that you don’t have to pay for anything at all. So get started on the process here today!